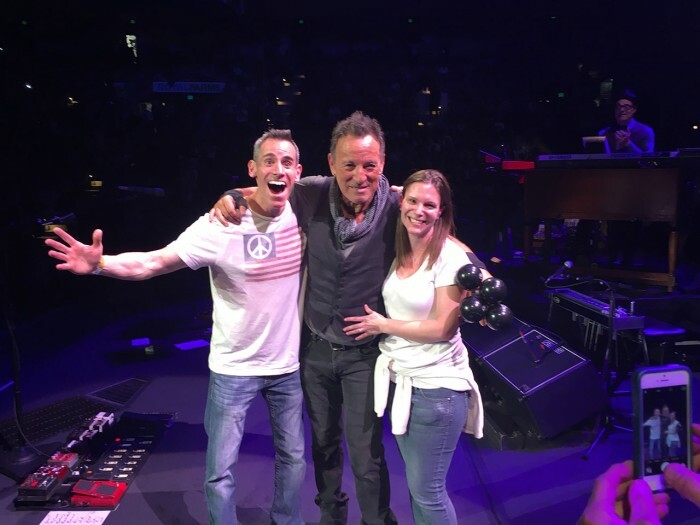 Bruce helped one couple have a night they'll never forget at #TheRiverTourBaltimore. Right before his performance of "I Wanna Marry You," he called a couple on stage. The man got down on one knee, asked his girl to be his wife and she said yes! "You are now pronounced, in the name of rock'n'roll, husband and wife," Bruce said before posing for a photo with the newly engaged couple.